Motorola is readying its new lineup of mid-range smartphones, but they won't be unveiled until next year. Even so, information about the Moto G7 series has been popping up online for a few weeks now, so little remains to learn about the upcoming phones. There will be four Moto G7 phones that Motorola will launch in 2019, and we already reported about three of them: Moto G7, Moto G7 Plus, and Moto G7 Play. Today, a fourth model has been spotted at FCC (Federal Communications Commission), and while details about its specs are scarce, we did learn something about it. Apparently, the upcoming Moto G7 Power will pack a massive 5,000 mAh battery, XDA Developers reports. We've checked the documents filed at FCC and the information does seem to be accurate, so you can expect another Moto smartphone with a huge battery to arrive next year. Motorola included a large 4,000 mAh battery inside the Moto G6 Play earlier this year, so it kind of makes sense for the company to offer customers the option to buy a mid-range phone with a generous battery. 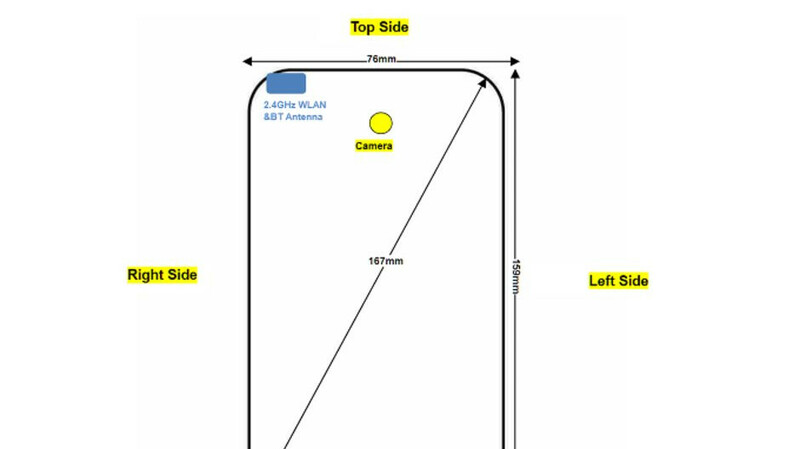 There's little else that we know about the Moto G7 Power, although one of the phone's schematic reveals its measurements (167mm x 159mm x 76 mm). Rumor has it that the Moto G7 Power will be equipped with a Qualcomm Snapdragon 632 processor, the same that powers the Moto G7 Play. Also, the phone should pack a single rear-facing 12-megapixel camera and an 8-megapixel front-facing selfie snapper. Finally, the documents filed at FCC also mention that the Moto G7 Power will feature NFC (Near Field Communication), but not in all territories. Good job, Moto. We need more phones with bigger battery AND better software optimizations. Thank you for giving us these 2. So that's 6.25" x 3". Great, another big phone. I'll pass. Hoping the standard G7 isn't much bigger than the G6. Wished more phones had this big of a battery. I am bored of using 5000mAh battery phones for last 3 years. Earlier 9mm phones had 5000mAh battery. Now 7.5mm phones are coming with the same 5000mAh battery. So why don't phone companies go for 6000 to 7000mAh battery phones with 9 to 9.5 mm thickness.